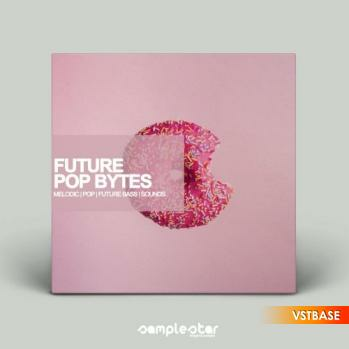 Samplestar are very proud to present Future Pop Bytes. Future Bass rhythms meets pop music! An indispensable collection of production tools bursting with chart ready, radio friendly hooks and melodic content. Inside the 5 huge track starter kits you will find lush chord progressions, catchy synth motifs, big basses and ear-worm vocal chops! All content has been perfectly mixed and eq’d for optimum sonic balance while allowing plenty of extra headroom for further processing and also final mastering stages. Get that slick pro-sound straight out of the box and take your productions to the next level! • Full Song Starter Inspiration Kits: 5 x Huge key labeled track starter kits of combined Drums, Bass, Synth, Melodics & Vocals broken out into individual professionally mixed and mastered Wav stems. - (Including: Full (.MIDIs) files).